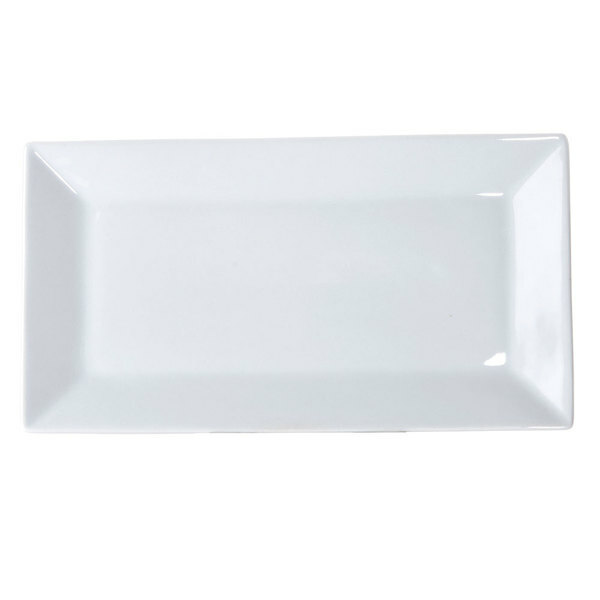 For a trendy departure from traditional dinnerware, serve your delicious appetizers, desserts, and more on this stunning 22" x 10 7/8" bright white rectangular platter. These white plates are a great quality and great buy. The white is bright and the plates are very heavy. These larger platters are great for platting and serving ham or turkey.